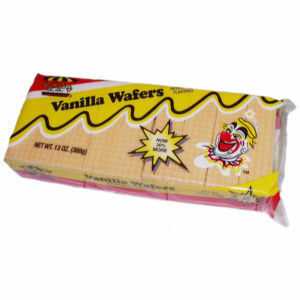 Payaso sugar wafers are absolutely delicious! Thin and compact with a delicate taste of vanilla. Each individual wafer consists of three thin wafer sheets, one separated by a white sugar covering and the other one by a cream filling. Our wafers are absolutely the best in the market and are priced very competitively for maximum enjoyment. Very popular and frequently displayed throughout the year.